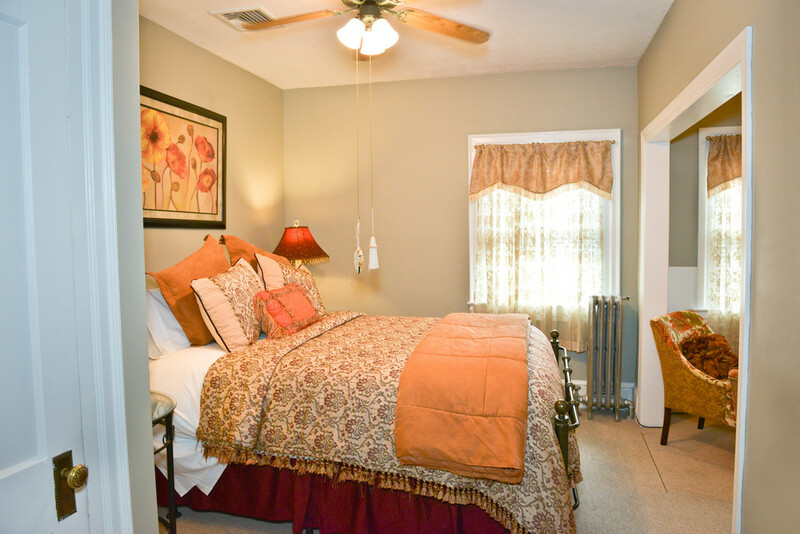 Enjoy the fresh mountain air on your private balcony. 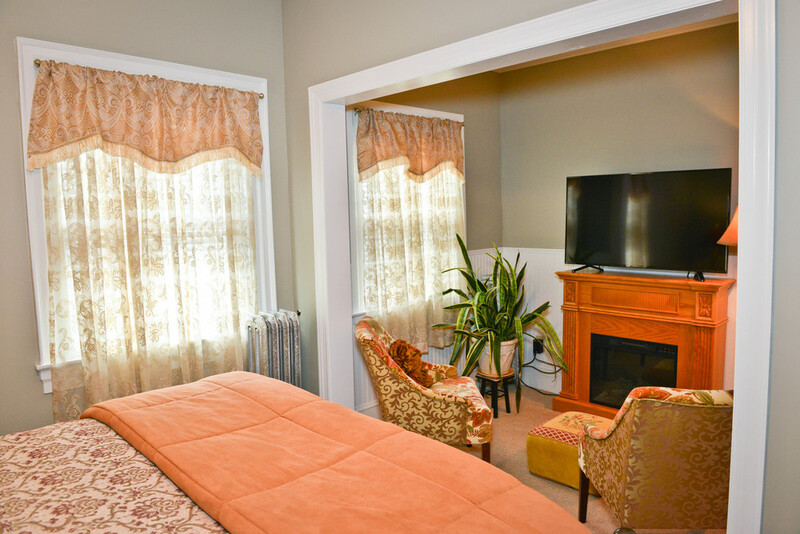 Room amenities include queen sized bed, private bath & shower, tub, electric fireplace, WiFi & cable TV, central air conditioning, off street parking, and a private balcony. Add Sunday to any Friday and Saturday stay, if available, and get 15% OFF your entire reservation using promo code LAZYSUNDAY at checkout. Bookings can be canceled up to 11:00 PM, 2 week(s) before the day of check in free of charge. Bookings canceled after 11:00 PM, 2 week(s) before the day of check in will incur a charge of 5% of the booking total. Bookings canceled after 11:00 PM, 1 week(s) before the day of check in will incur a charge of 15% of the booking total.